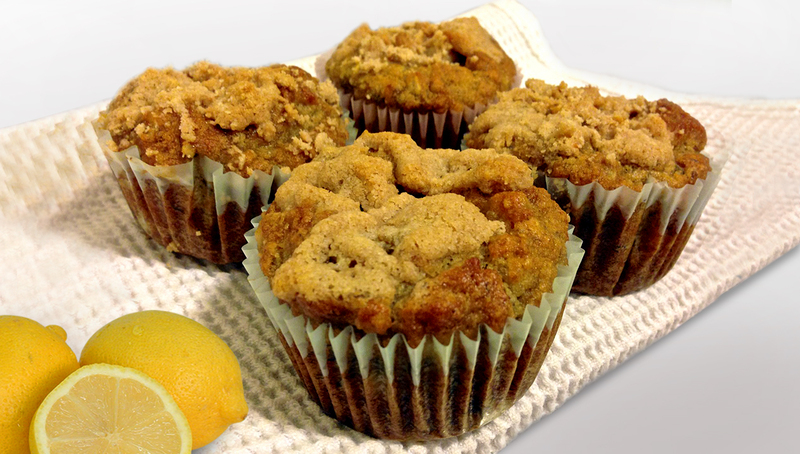 1. reheat your oven to 325 and either grease your muffin pans with coconut oil, or use unbleached muffin liners. If you use the paper liners, I recommend brushing the inside of them with some coconut oil as well. 2. In a food processor, blender, or a mixer (the food processor works best in my opinion), combine the eggs, coconut cream concentrate, macadamia nut oil, baking soda, and sea salt until smooth and completely combined. 3. With the food processor running, add the lemon juice and the lemon zest. 4. Pour batter into a bowl and mix the blueberries and chopped macadamia nuts in by hand. If you’re using fresh blueberries, take care not to crush them as you stir. 5. Pour or scoop the batter into the muffin tins filling each about 3/4 full. 6. Bake at 325 for 35-45 minutes, or until the tops of the muffins are golden brown and a toothpick comes out clean. 7. Serve warm or cool. Tastes great both ways. For extra deliciousness, top with grass-fed butter or ghee. Store in an airtight container in the fridge or freezer.